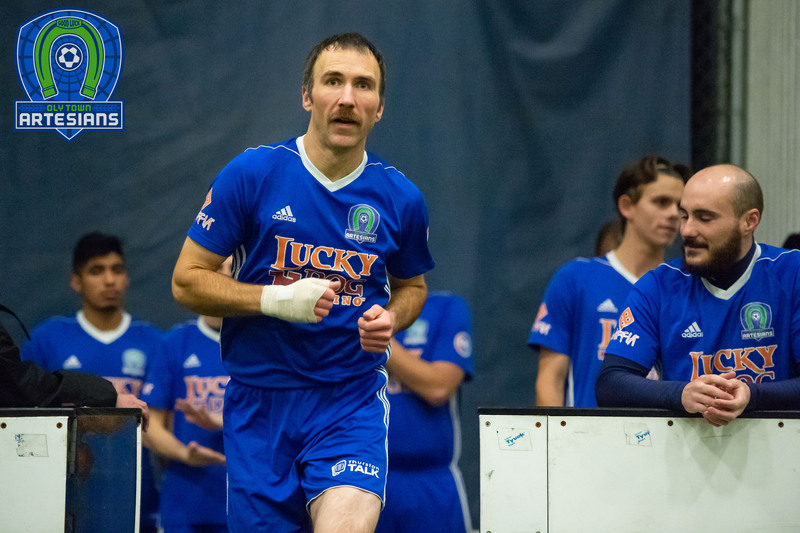 Olympia, Wash. – Reigning Western Indoor Soccer League Defensive Player of the Week Evan Munn (above) and the Oly Town Artesians wrap up their three game road trip to start the season when they travel to Snohomish to take on the Skyhawks on Saturday night. 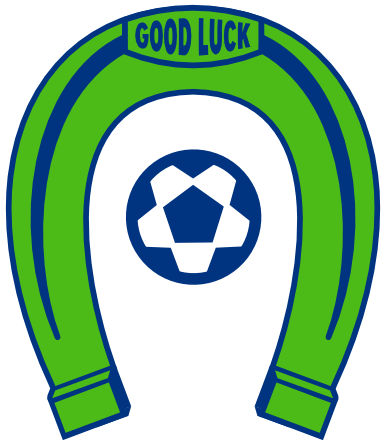 First kick at the Snohomish Soccer Dome is scheduled for 7:00 PM. The Artesians are coming off of their first win of the season last Saturday in Vancouver. JC Henson buried a shot from point blank off of a pass from Brett Stallworth with 58 seconds left to break a 3-3 tie and the Artesians held on for a 4-3 victory. Munn allowed just three goals in his second indoor soccer start at goalkeeper and Kyle Wiese, Alex Castillo and Tom Kemennu each added goals for Oly. 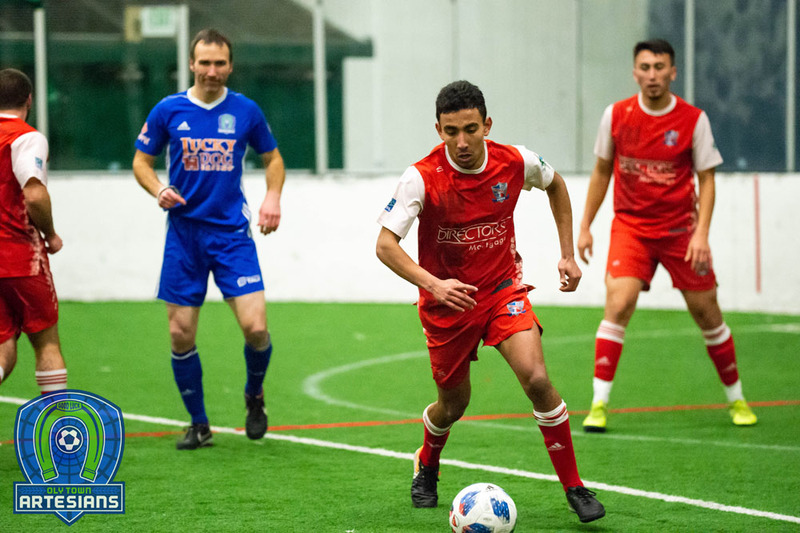 Willie Spurr was held in check by the Victory but still leads the Artesians with four goals, all four coming in a 9-5 loss to Sporting Everett FC on November 28th. 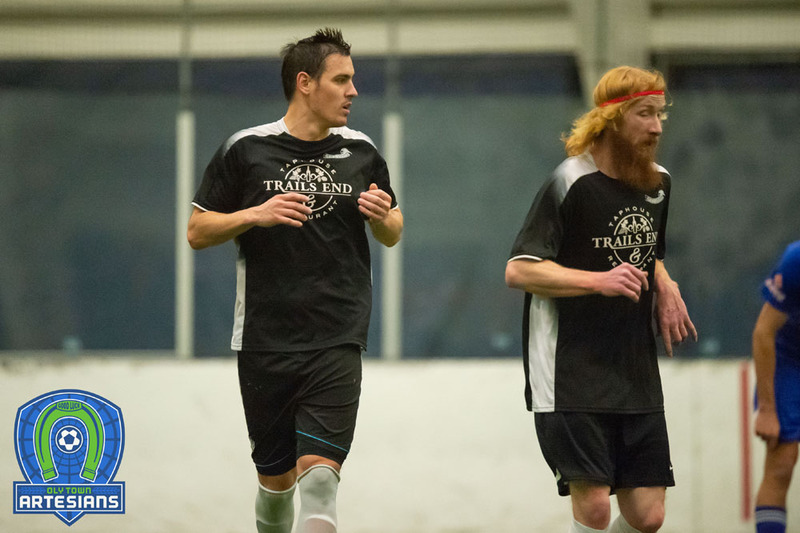 The Snohomish Skyhawks are in their tenth season overall but are in their first season in the WISL. They sit at 0-1-0 after dropping their first game of the season 12-3 to the Olympic Force and haven’t played a league game since November 21st. John Troka, Juan Machuca and Hector Valdovinos each tallied goals in their opener in Bremerton. Follow all of the action on Saturday night by following the Artesians on Twitter (@OlyTownFC) or liking them on Facebook at Facebook.com/OlyTownFC. 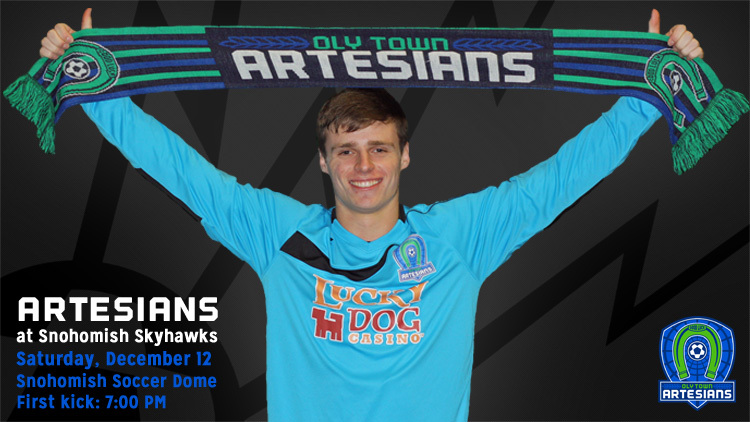 The Artesians open their home slate and celebrate the holiday season when they take on the Tacoma Stars Reserves on December 19th at 6:00 PM at The Pavilion at The Evergreen State College. They will have a visit from Santa, games, prizes, Christmas carols and much more throughout the game. Tickets are available now by visiting www.olytownfc.com or at the gate for $8 for adults, $5 for kids 5-12, kids five and under and any child in a Thurston County Youth Soccer Association jersey get in free.